Looking for some ways to create unique fabrics, I looked through the tutorials on-line at Dharma Trading. Marbling fabric looked like a fun thing to try, but I didn’t want to invest in more expensive supplies and different dyes. 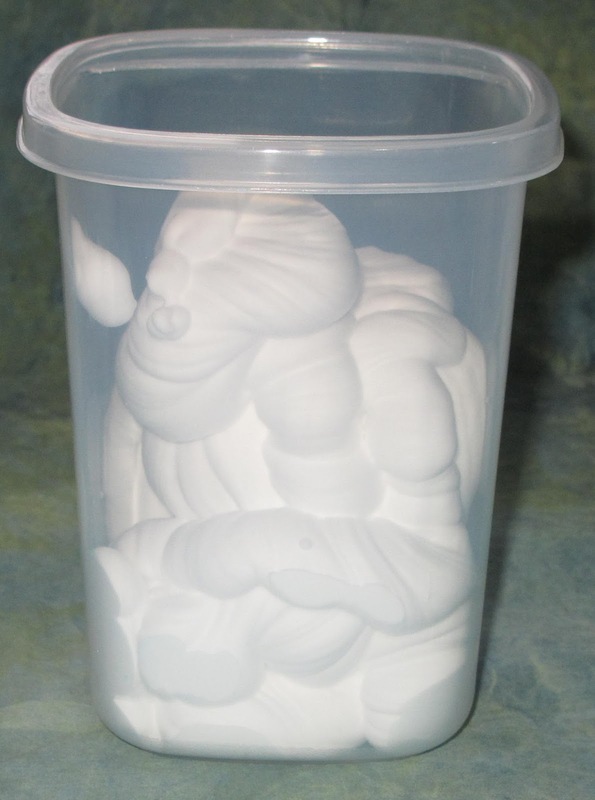 But, there was one technique that caught my eye because it did not involve significant purchase of additional supplies – Shaving Cream Dyeing. The technique they described used the type of dye that I already had in my supply – fiber reactive MX dyes. The only supply that I would need was shaving cream. So, I bought a can and decided to give it a try. 2. Soak fabric for 15 minutes in soda ash solution, wring lightly and hang to dry. Remove wrinkles with a dry, cool iron. and tap pan on flat surface to allow the mixture to settle with a smooth surface. 5. Drip diluted dye onto the surface of the shaving cream in any pattern you wish. 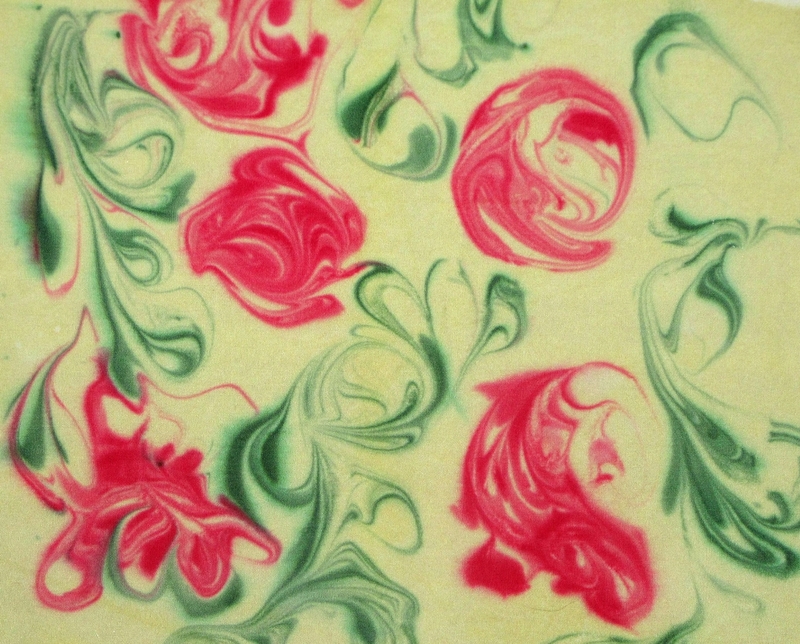 Use a comb, chopstick or any other tool to swirl and spread the dye into fun patterns. 6. 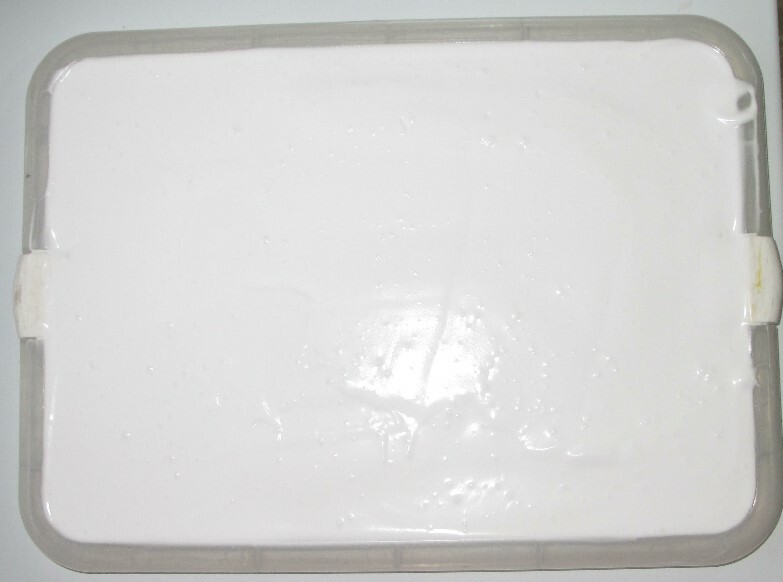 Place the prepared fabric on the surface of the shaving cream and dye pattern. Remove any air bubbles by pushing down gently with a gloved hand. 7. Allow the fabric to sit on the surface of the dye/shaving cream for 5 minutes, then remove the fabric by lifting carefully. Place the fabric on a flat surface with the shaving cream side up. Cover with plastic to retain the moisture. Allow to batch for 4 hours. 8. Rinse fabric in cold water to remove the shaving cream and soda ash. Then wash in hot water with Blue Dawn. Dry and press and enjoy the results! First Trial – turned out nice, but need more dye. 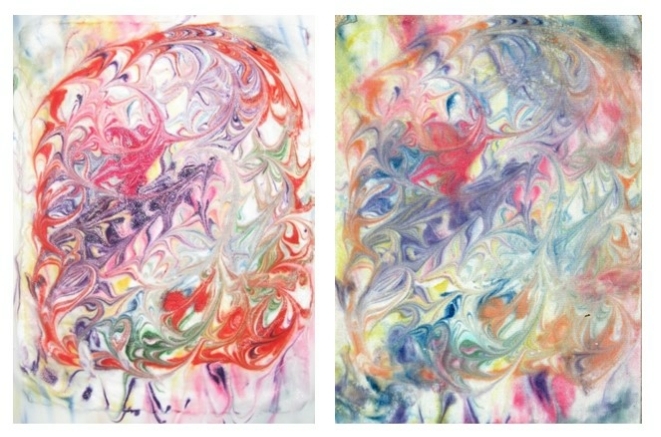 Last Trial – Kinda look like roses and petals!